Welcome! We can help you plan vacations in BC, Canada. We've assembled hundreds of unique BC vacations and travel destinations, from some of the finest tourism operators. Browse the site and you'll find a wide range of vacation ideas, lodging, outdoor recreation, tours and attractions. Escape to British Columbia's West Coast. Make your wildest dreams a reality on the islands and inlets. Smell the fresh salt air. Fish for salmon and halibut. Paddle your sea kayak into remote bays. Roam sandy beaches or hike the West Coast Trail. Encounter whales, bears and marine life. Relax in luxury ocean front resorts and spas or rustic log cabins. Saddle up at one of BC's Guest Ranches. Experience the Real West. Ride horseback through lush meadows and wilderness trails. Try your hand at fly fishing. Join in a cattle drive. Ride in a horse drawn wagon. Throw a steak on the BBQ. Tell tales around the campfire. Book a cabin at a lakeside resort. Fish for wild BC Rainbow Trout. Hike or bike the forest trails. Swim in pristine waters. Paddle a canoe. Photograph moose, deer and wildlife. Listen to the loons call across the water at night. Vacations in BC give you a chance to relive history. You can try your hand at panning for riches at the 1860's Gold Rush town of Barkerville. Paddle the waterways of the early explorers on a raft trip down a wilderness river. Explore the mountains by pack horse with an experienced guide outfitter. Pitch a tent or stay in a trappers cabin. Count the stars at night. Rent an RV and see the Rockies. Book a houseboat and navigate around the lake. Plan a golf or ski vacation at one of BC's world class facilities. And those are just few of the many unique British Columbia vacations! 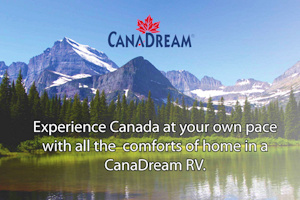 Have fun browsing our site, click on all the links and discover world class vacations in BC, Canada!